Las Vegas is truly Nevada's premier playground. From natural desert formations to the hustle and bustle of the busy casino-lined streets, there is much for all visitors to see and do while vacationing here. 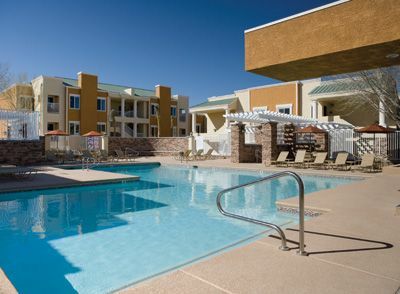 A stay at WorldMark Las Vegas - Tropicana will provide guests with a grand vacation in a more peaceful neighborhood just 2.5 miles away from the famous Las Vegas Strip. 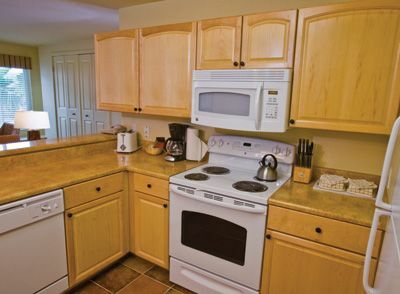 Because this is a Worldmark timeshare resort, those who do not own here will want to take advantage of renting their accommodations. Renting a timeshare continues to rise in popularity as many travelers realize their many advantages in providing an amazing vacation experience. 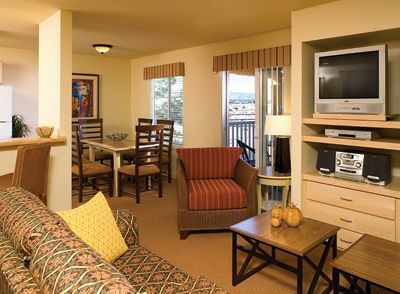 The WorldMark Las Vegas - Tropicana timeshare is conveniently located near all that Las Vegas has to offer without being right in the middle of all the action. Rest easy during the late evening hours without the constant distractions and noises that you may find directly on The Strip. 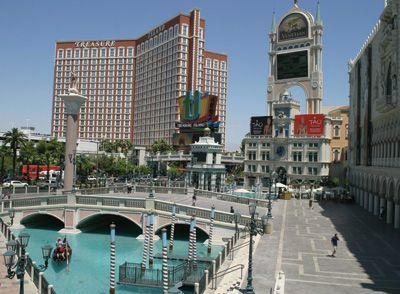 This appealing location offers visitors outstanding views of all the beauty that Las Vegas, Nevada has to offer. If you're wondering why renting a timeshare is a much more ideal option than staying at a hotel, there are several different reasons and perks that you will receive when staying on timeshare property. 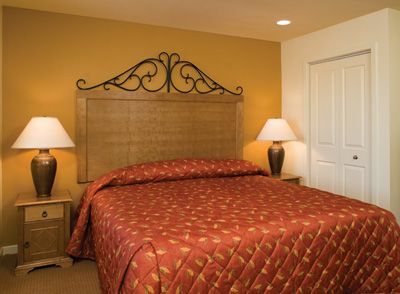 One of the greatest perks of all is that there is enough room for your entire family to stay and sleep comfortably. 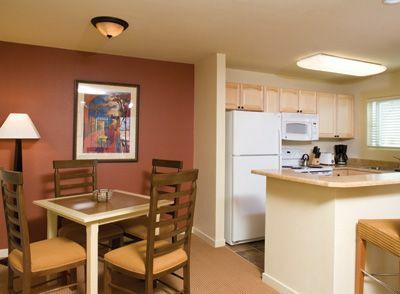 Rather than being crammed into one room, this WorldMark resort offers 1 and 2 bedroom units, accommodating a maximum of 6 guests. In addition to private bedrooms, relax in your own living room and cook in your full-size kitchen complete with fridge and stove. Not only are hotels much smaller than timeshares, they can have hefty nightly prices that add up quickly. Not only may you pay less during a week-long timeshare rental, but you will also receive access to resort amenities that most hotels simply do not have. 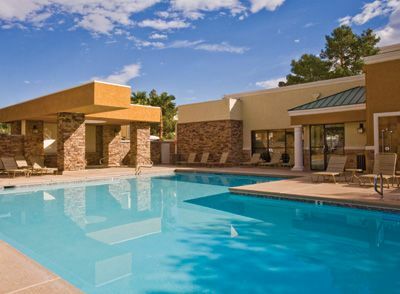 This WorldMark property located on Tropicana Ave. offer an outdoor pool with 5 hot tubs, a fitness center, BBQ grills and complimentary shuttle service directly to the Las Vegas Strip. Renting a timeshare also enables you to stay on the same property that you would if you chose to purchase there without all of the maintenance fees and mortgage that go along with owning a piece of real estate. WorldMark timeshare owners who are interested in selling their timeshare may also think about renting it out for others to use. Renting the timeshare could be an excellent investment and will help to make up for many of the fees that you pay that go along with owning a timeshare. Because WorldMark operates on a points system, consider using half of your points to vacation with each year and the other half to rent out. Renting it can also inform others of it's availability and get them interested in the property before it is put onto the market. Those looking to purchase a timeshare here should consider renting first, as it is a fantastic way to check out the property without getting tied into a contract. Contact WorldMark Las Vegas - Tropicana Specialist Today!